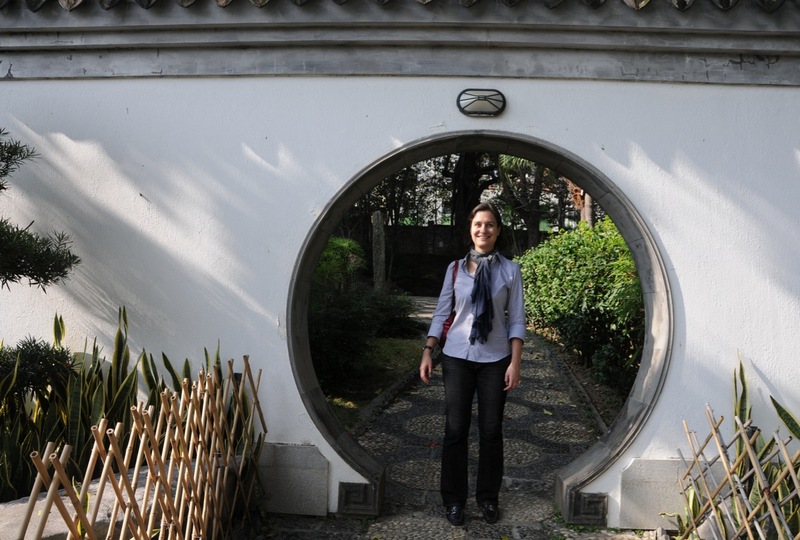 In 1995, Kowloon’s historic Walled City was transformed into this tranquil inner city haven. 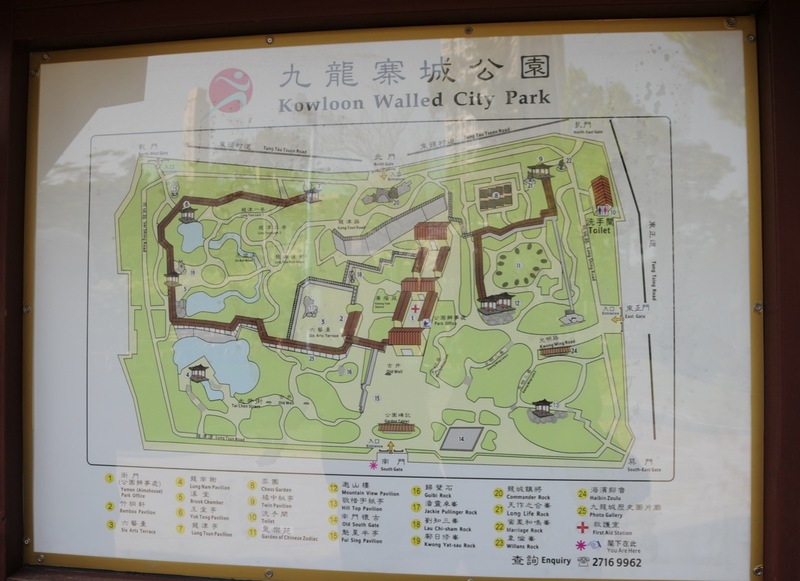 The design of the Kowloon Walled City Park is based on the Jiangnan garden style of the early Qing Dynasty.The design is divided into eight landscape features which complement one another and subtly blend into the overall layout. 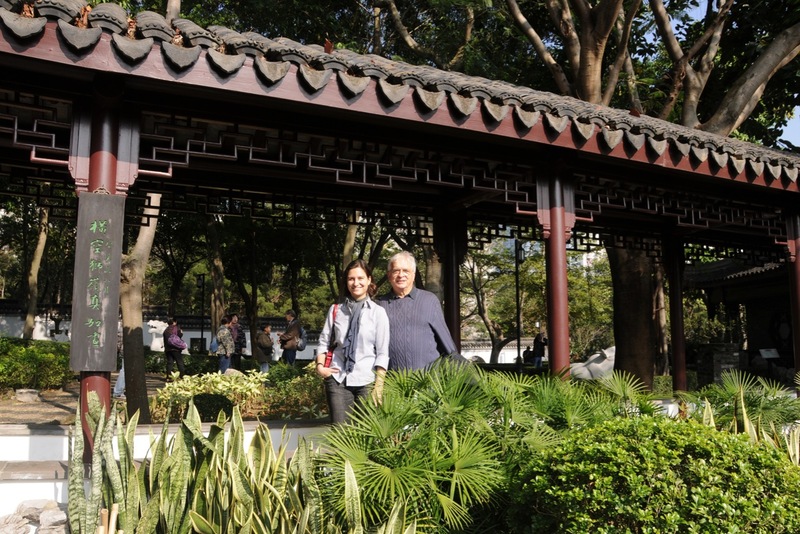 The Old South Gate is one of Hong Kong’s officially declared monuments. 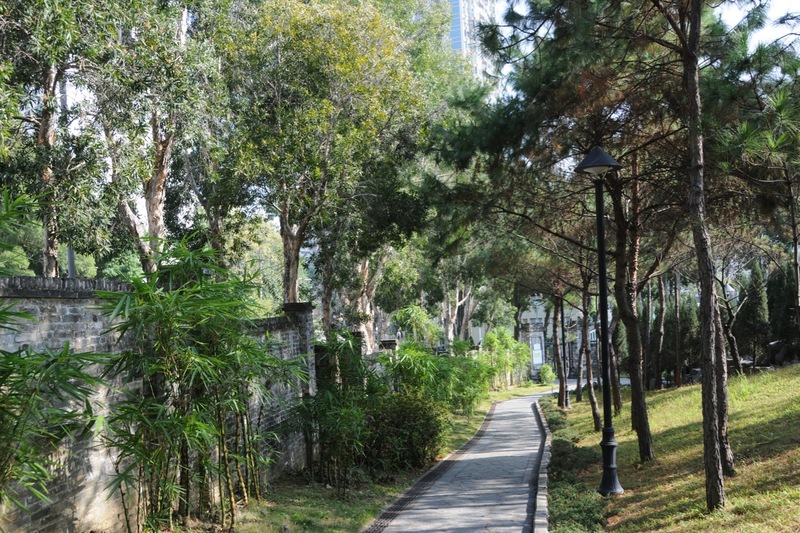 It lies alongside the spacious, tree-lined square that fronts the Yamen. 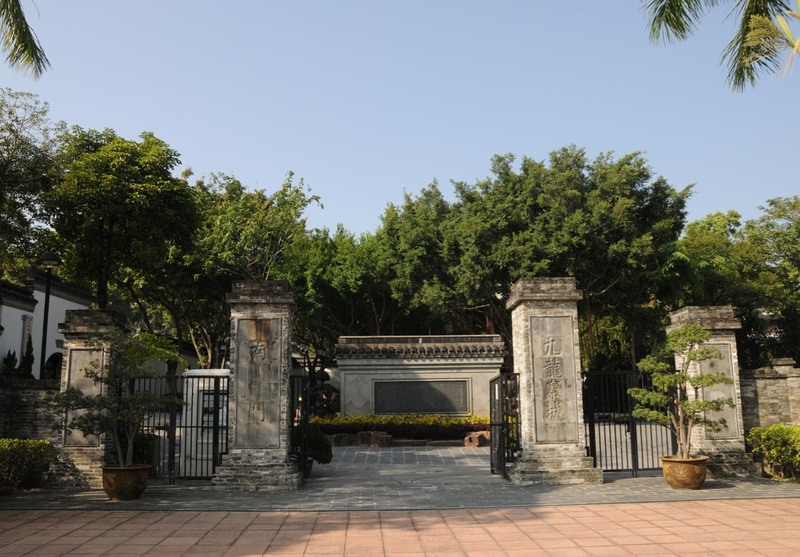 For more than a century, it was the main entrance to the Walled City. Today, it’s the first site you’re likely to visit, if you’re entering the Park via the present South Gate. 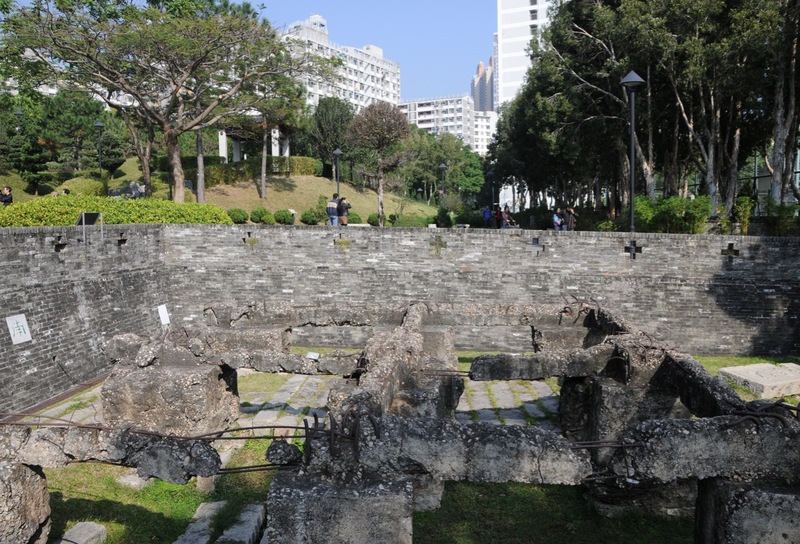 When the Walled City was torn down in 1994, two granite plaques with the Chinese characters for “South Gate” and “Kowloon Walled City” were unearthed at the site of the original South Gate. 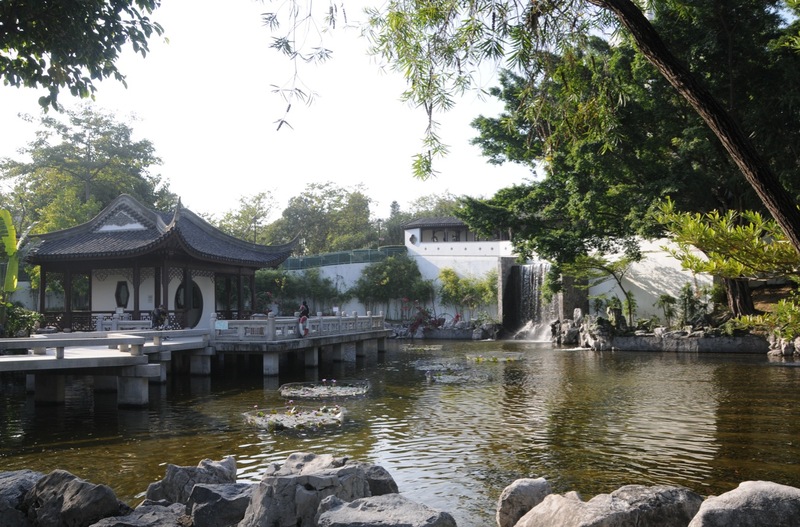 The Chinese Zodiac Garden is just across from Mountain View Pavilion. 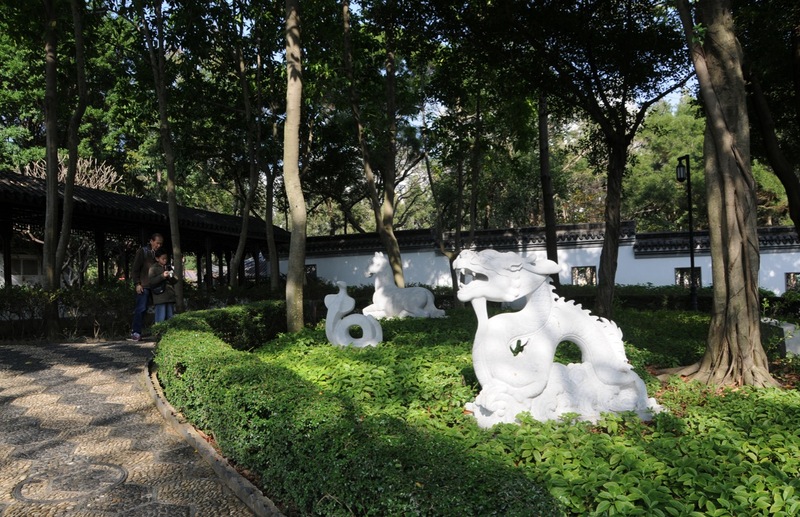 The grassy enclosure is home to a dozen smooth, white-stone-sculptured animals. The first of the 12 zodiac symbols is the rat, its sharpened nose pointing south. As for the big-clawed tiger, its fin-like back is modelled after the legendary Zhou Dynasty mascot. The elegantly resting horse was designed after the stone horses at the Ming Dynasty Tombs, northwest of Beijing. 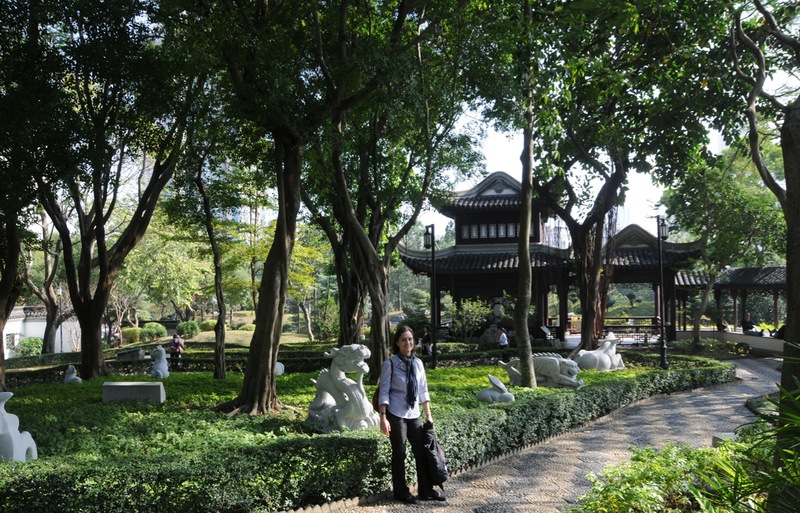 The centerpiece of the park is the Yamen, a fully restored three-hall structure offering a glimpse of the physical appearance of the one-time walled garrison-city. 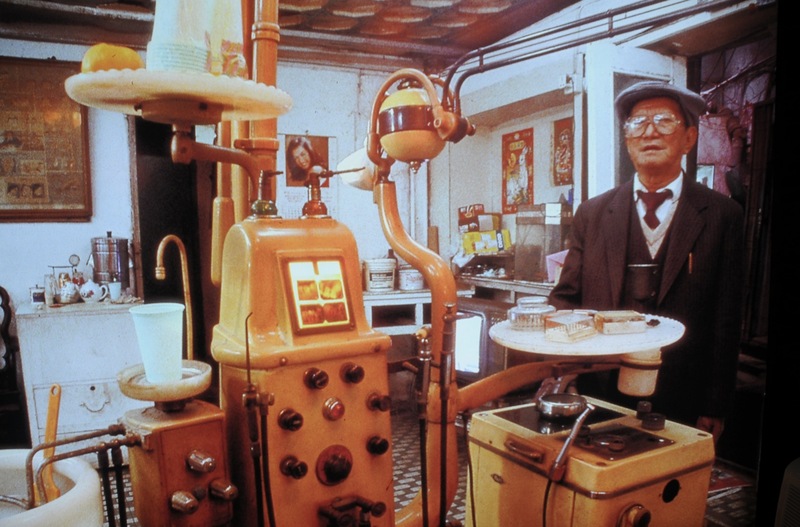 Inside the Yamen, you can find stone tablets, pictures and videos relating to the Walled City. 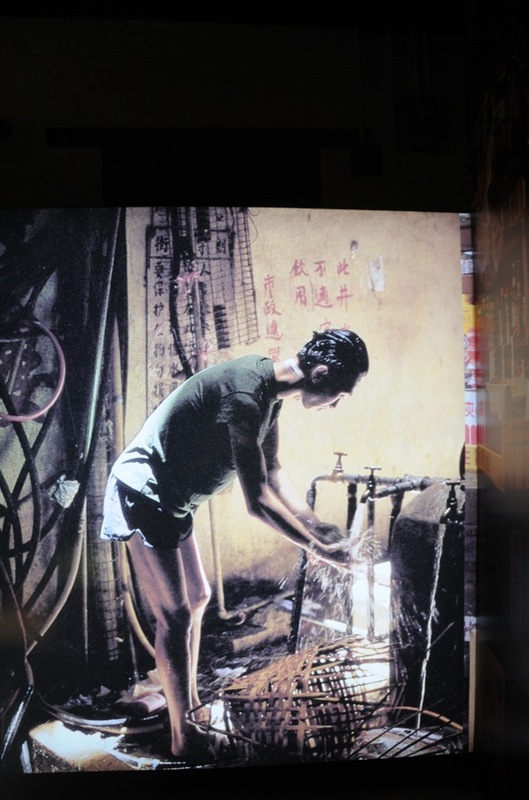 From Exhibition Room 1 to 4, the history and daily lives of the residents of the Walled City, before demolition, is depicted. In Exhibition Room 5 and 6, standing in front of the screens, a series of flashbacks and fun facts of the Walled City are being showed, when waving your hands. This is soo interesting! Thank you!